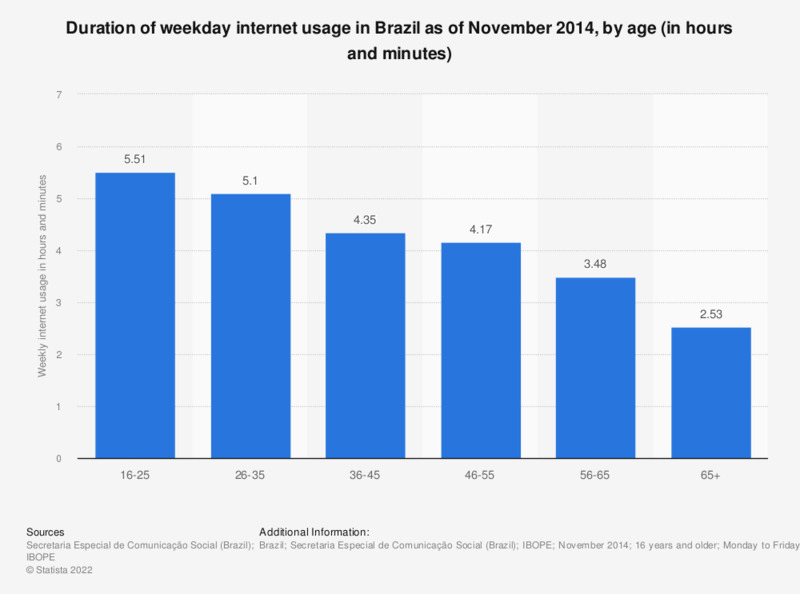 This statistic presents the duration of weekly internet usage in Brazil as of November 2014, sorted by age group. During the survey period it was found that the duration of weekly online access of Brazilian internet users aged 26 to 35 averaged about 5 hours and 10 minutes. What are the challenges you face while using the internet?